Yoga is a no-brainer and bloating needs no introduction. You don’t need to be an experienced yogi to exercise these moves on the mat, nor do you need to pay a fortune to go to a fancy yoga studio. Not only will they help you debloat but they’ll also clear your head – trust us, your body will thank you; physically and mentally. 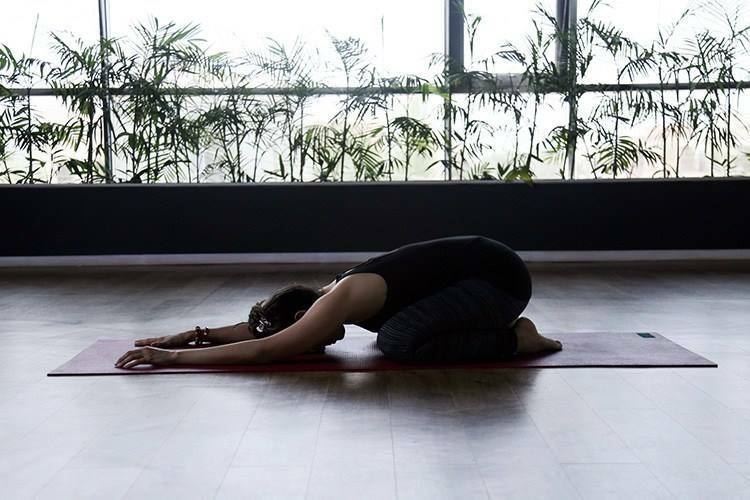 This pose stimulates your meditative breathing, a tactic that modifies the nervous system so it can “reset” the body. Sit cross-legged, inhale and bring your arms overhead. Exhale and lower them. Any twisting pose is great for gas relief. Postures like this one help loosen the digestive tract and have been shown to aid digestion in people with irritable bowl syndrome (IBS). Begin seated in staff pose with your legs straight out in front of you. Bend your right knee and cross your right foot over your left leg. 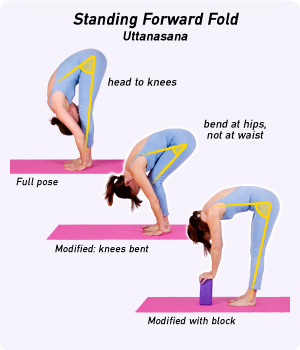 Now for the twist part – Lean towards your right sitting bone and pull your left leg under your buttocks. Rotate your torso 90 degrees to the right, and set your left elbow on the outside of your right leg. As the name suggests, this move urges the body to “get moving”by compressing and retracting abdominal organs. Slowly bring your knees to your chest, hold, then release. You can do this one leg at a time or both legs together. Folding forward compresses your insides so when you release the bend, fresh fluids can flow through your digestive organs. Known as the grounding pose, Child’s Pose is a great way to relax but is also a gentle way to release the pressure on your belly and re-center your energy. Kneel on all fours, then lower your hips back and down until they are resting on your feet bend forward to rest torso on legs as you reach arms forward on the ground. Breath in and out for about half a minute in this position, letting your belly relax and releasing all the tension in your body. Give these a try and let us know how you get on.